With the death of Railroad Conductor Jared Boehlke on Mother's Day, May 10, the number of fatalities on the nation's railroads surged to a record pace for the year 2009. In all, twelve rail workers have been killed on the job so far this year. At the end of March, the Federal Railroad Administration (FRA) issued an appeal to all railroad organizations and employees for help in stemming this disastrous record. Railroad Workers United agrees with the FRA that something must be done to change the current situation. “Black Shirt Friday” A Time to Mourn and to Organize! Selkirk, Albany, New Jersey, Buffalo, Cleveland, Brooklyn Junction, Grafton, Parkersburg, Huntington, Cumberland … across the railroaders’ territory of the USA, the word about Black Shirt Friday, June 19, 2009, spread like wildfire. Initiated by Railroad Workers United as a response to the mounting fatalities on the nation's railroad system, Black Shirt Friday succeeded to bring railroaders together in solidarity in a way not seen for many years. The activity was particularly focused on the death of Jared Boehlke, a UTU conductor killed while operating a remote control locomotive in the Selkirk, NY yard, when he was ordered to repair a car coupler alone. That same week, signalman John Pichalski Jr. was killed while repairing a broken rail crossing structure. In both instances, the rail workers were killed while working alone, the result of the carriers' excessive cutbacks in personnel. 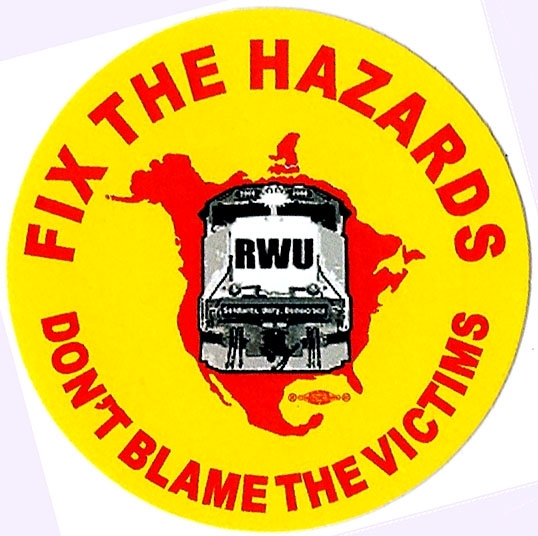 Railroaders are fed up with phony management "safety" programs that focus on worker behavior and not on hazard elimination. RWU has been campaigning for over a year to reorient joint management - union safety programs toward a focus on hazards, not behavior. The recent wave of layoffs and furloughs, short staffing, job elimination and workers forced to perform their tasks alone all are factors which underlie and contribute to the spike in fatalities in the past year. An appeal from Heather Boehlke, widow of Jared Boehlke, locomotive remote control operator who was killed on Mother's Day, 2009, in Selkirk, NY while working alone. Jared Boehlke may or may not have been aware of these statistics as he worked in the CSX Selkirk rail yard on Mother's Day of 2009, during the second quarter of this dramatic increase in US labor productivity. His job, running a locomotive via remote control, hooking up railcars in the departure yard, had been created to replace that of a locomotive engineer working with a brakeman or conductor to do this work. Jared was working alone, standing on the ground and moving cars around with a remote control beltpack, doing the work of both the engineer and the conductor. The recession had resulted in layoffs in the car department whose workers should physically hook railcars' air lines together and do various quick repairs. So when Jared found a car with a broken knuckle, he was unable to get anyone to help him from the car department. With no other crewmember to assist, he was ordered to make the repair himself; the cars rolled together, and he was crushed between them. He died shortly thereafter, leaving behind a wife and a three-year-old daughter. Another worker paid the price of leaving corporations to do what they please about staffing and technological changes like remote control of locomotives. December 29, 2009 - Minneapolis, MN - BNSF conductor Samuel W. Lundy, 44, a 17-year member of UTU Local 1000, Minneapolis, was killed Dec. 29 in Minneapolis when, during a switching operation, a rail car derailed and pinned him against a building. He is survived by his wife, Jackie, and three children. November 6, 2009 - Lusk WY - UPRR - A BMWED member was struck and killed under watchman/lookout protection during maintenance activities being performed on a switch component. November 5, 2009 - Philadelphia PA - SEPTA - A packed commuter train struck and killed a BMWED rail inspector during the morning rush Thursday, disrupting service for three hours and stranding hundreds of riders on a system already crippled by a transit strike. The man has been identified as Kevin Sparks, 34, of Sharon Hill, Pa. The train was inbound from the city's northern suburbs when it hit Sparks around 8:35 a.m., Southeastern Pennsylvania Transportation Authority spokesman Richard Maloney said. More than 625 people on the train were stranded at the Melrose Park station as three of 13 regional lines have had to be shut down. Sparks, a rail inspector, was walking with a flagman on the northbound tracks when he was hit from behind by a southbound train, Maloney said. The train was running on different tracks than normal because of equipment problems with another train. September 23, 2009 - Hereford, TX - A worker with the Burlington Northern Santa Fe railroad was killed Wednesday near Hereford. The Deaf Smith County Justice of the Peace's office says Larry Craig Green was working near the track around 6:30 Wednesday morning when he was hit by a train. The incident happened near the old Caviness meat plant about three miles west of Hereford on highway 60. It is unclear right now how the events transpired. Green was 54 years old. September 14, 2009 - Gillette, Wyoming - A 44-year-old Gillette man was killed Monday when a large wall of dirt collapsed on him during a work mishap. Authorities say David Allen Larson, a contractor for BNSF Railway, died while helping replace a culvert in Converse County. The mishap happened at about 9:30 a.m. on Highway 59, 26 miles north of Douglas, Converse County Sheriff Clint Becker said in a statement. A large wall of dirt collapsed on top of Larson when the culvert was removed. July 14, 2009 - Bettendorf IA - Two BLET members working for the Iowa, Chicago & Eastern (IC&E) Railroad were killed near Bettendorf, Ill., on July 14, 2009. According to preliminary reports from the National Transportation Safety Board, the accident happened after their train hit a misaligned switch. Andrew R. Reed, 27, was working as a conductor at the time of the fatality. Joshua M. Osborn, 27 was working as the locomotive engineer. Reed began working for the railroad in August of 2004 and first joined the Brotherhood on December 1, 2004. He is survived by his fiancee, Jamie Diercks, their daughter, Brynn, and her daughter, Delaney Holmes. Brother Osborn, a Marine sergeant who served in Iraq and Afghanistan, had just joined the Brotherhood. 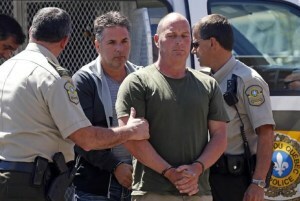 He is survived by his fiancée Jennifer Schreiner; one daughter, Kaliann Schreiner and Jennifer's daughter Bailey Baker. Brothers Reed and Osborn were both members of BLET Division 266 in Savanna, Ill. CLICK HERE for the NTSB report. July 10, 2009 - Gordon, GA - Damien Whipple, 24 was killed from fall off a train onto the tracks and was pinned under another train while switching rail cars at Rescar Industries in Gordon, GA. Federal OSHA investigated the incident and assessed a $32,000.00 penalty and 9 serious violations wich was later reduced to $1,600.00 in penalties, 4 serious violations and 1 other. June 24, 2009 - Albertville, AL - Conductor Dustin Moles, 33, a member of Local 1972, Birmingham, Ala., was killed June 24, 2009, when the Alabama & Tennessee River Railroad train on which he was riding derailed while being switched into a shipper facility. He hired on in 2005. Dustin was a police officer prior to hiring out with the railroad. May 13, 2009 - Philadelphia, Pennsylvania - The 53-year-old (John Pichalski, from Hillsborough, NJ) CSX railroad employee was repairing damage from an earlier accident when he was hit by a truck. He was killed Monday as he worked to repair damage to warning lights from an accident earlier in the day at the same location. The man was killed at 3:58 p.m. at Big Oak and Township Line roads in Middletown, when a tractor-trailer carrying Keebler cookie products hit him while making a very sharp right turn, said Middletown Officer Mark McLeod. February 28, 2009 - Yeso, NM - Conductor Gregory “Greg” Blevins, 56, president of UTU Local 1168, Clovis, N.M., and a 35-year BNSF employee, was killed Feb. 28, 2009, in a switching accident at Yeso, N.M. He is survived by a son, daughter, two sisters and four grandchildren. He was a U.S. Army veteran. 28. Greg was a man of infectious laughter who gave of himself in service to others. He had an ability to brighten one’s day and put a smile on one’s face. He was always very proud of his children and grandchildren and never tired of speaking about their accomplishments. February 8, 2009 - Herington, KS - Conductor Saxton Haselwood, 26, a member of Local 1227 in Wichita, Kan., was killed Feb. 8, 2009, in a switching accident at Union Pacific’s Herrington Yard outside Herrington, Kan. Haselwood, unmarried, was on the job just two years. January 28, 2009 - Council Bluffs, IA - Union Pacific switchman Craig Lang, 41, a member of Local 367 in Omaha, Neb., was killed Jan. 28 in a UP yard accident in Council Bluffs, Iowa. Investigators said Lang stepped off a train on which he was riding and was struck by a coal train going in the opposite direction. January 22, 2009 - Meteor Crater AZ - A freight train struck and killed a worker operating a jackhammer on the railroad tracks near Meteor Crater this morning. Coconino County Sheriff’s Office spokesman Gerry Blair confirmed that the victim was a member of a three-man crew working on the BNSF tracks when he was struck by the westbound train at about 10:45 a.m. The victim was pronounced dead on the scene. The other workers were not struck or injured. 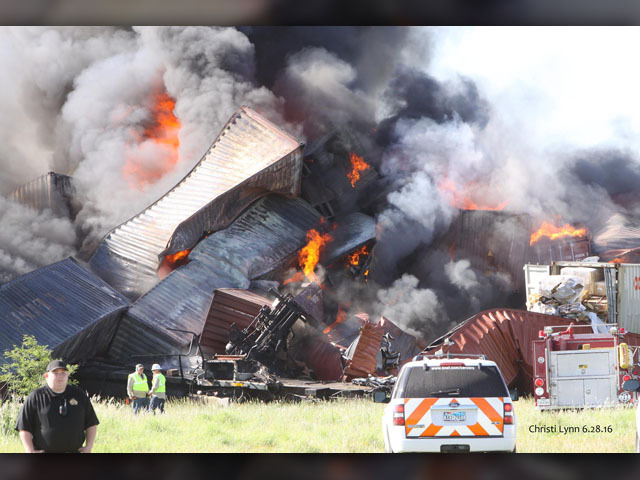 The accident occurred on tracks about a mile north of Interstate 40 near the Meteor Crater exit. It was not visible from the highway. Blair could not provide any further details on the victim late this afternoon, pending further investigation. Next of kin had not been notified. - - - The (BNSF) Southwest Division mourns the loss of David Benally, who was fatally injured Jan. 23 near Winslow. Benally, 52, Maintenance of Way truck driver, spent more than 15 years with the railroad. He is survived by his wife, June, three daughters and one grandson, as well as many extended family, friends and co-workers. January 16, 2009 - Ft Sumner, NM - Locomotive engineer Lenard “Lenny” Eugene Noice, 59, of Albuquerque, N.M., and a member of Local 1168 in Clovis, died Jan. 16, 2009, in a BNSF train accident. Noice worked for BNSF for 35 years. He is survived by his wife, Carla, son, Lenny Noice II, a twin brother, a sister and both parents. He was a U.S. Air Force veteran. Lenny was a man of many talents who loved to fly-fish and work with a wide variety of electronics.